A renovated bathroom adds value to your home, updates its style, and makes it better adapted to your current needs. Renovations are the best time to introduce improvements that will serve you and your family for years to come. If you're spending money for a bathroom remodel this year, consider making one or several of these essential changes to improve the functionality, storage and comfort of your bathroom. In my Ultimate Toilet Buying Guide, I write about hidden-tank toilets and their benefits. If you were to replace the toilet in your bathroom remodel, I strongly suggest you choose this type of toilet. Hidden-tank toilets save you precious space, and low-flow models help save water every time you flush. It's a smart choice that increases the value of your home after the remodel. They are appropriate for all bathrooms styles, but they fit especially well in modern and contemporary decors. You'll have tons of flooring, wall and tile choices to make during your bathroom remodel. The most important for safety will be the floor tiling of your shower. This is a small, invisible improvement that will make a BIG difference in the functionality of your bathroom. Typical bathroom plumbing is 1.5 inches. This plumbing type clogs easily, especially with several family members using the shower and/or bath. Installing 2-inch drains instead of 1.5 costs the same, and will dramatically improve the quality of drainage in your bathroom. Too many people add a tub to their bathrooms just because they feel like they "should". But a bathtub is not always a necessity, especially if you never take baths. Even though the remodel might help sell your home in the future, you should consider how you are going to use the room for the next few years. If you love baths, then by all means include it in your remodel. If you take something five baths a year, maybe it's better to just get a large shower. Of course, if you have a large bathroom, you get can both without worrying too much about space. But if you have to choose, you should always go with what is most functional for you at this time. And a bath isn't always the most functional choice. 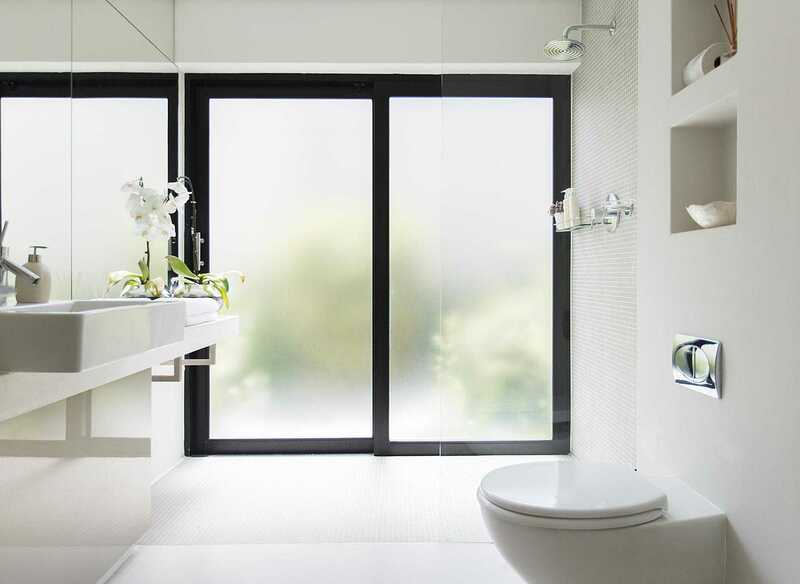 Discuss the appropriate type of window with your architect or contractor, but remember to slope the sill downwards so water doesn't get stuck, and use a frosted glass for privacy. Get more storage space and a sleeker look with a recessed medicine cabinet above the vanity. By putting it a few inches inside the wall, you save yourself some needed space and make your bathroom look sleeker and more modern. The wall framing job doesn't usually cost much in the grand scheme of a full bathroom renovation. This is especially useful when your vanity is on the shallower side: you give yourself extra space to bend over and use the sink by using a recess in the wall. Fewer worries about banging your head on the edge of the mirror, that's for sure! The first important lighting change should be a dimmer for the main lights. If you like to take baths, you know that baths in full artificial light aren't very fun. A dimmer will let you set just the right mood. Add recessed fixtures around the mirror to give you the best lighting possible when doing your hair, applying make-up or, shaving, other task that requires lots of light. You should also consider adding lighting in the shower, rather than around it. Surprisingly, you'll find your showers more pleasant when they're lighted properly.